Welcome to the home page for the CSULB Society of Automotive Engineers. 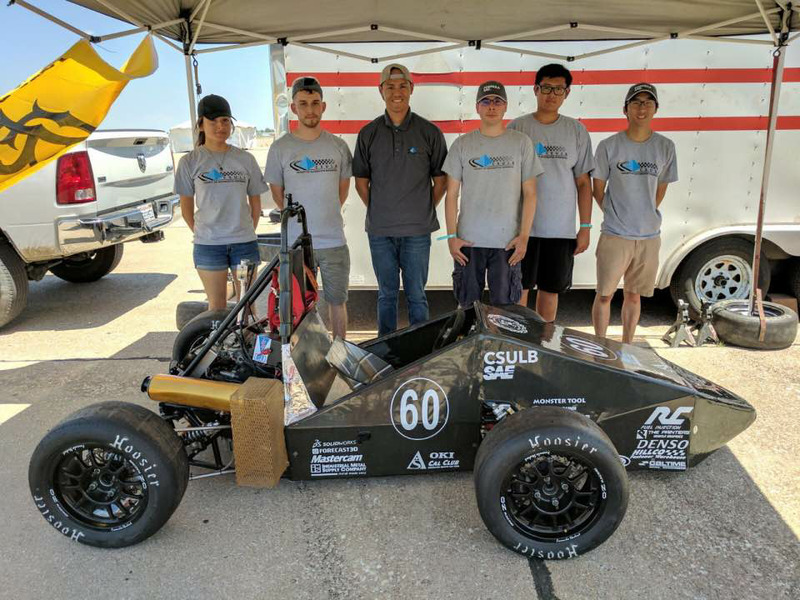 The CSULB Society of Automotive Engineers offers hands on experience with design, analysis, manufacturing, testing, and racing of two vehicles every academic year. Students work together to simulate a professional engineering environment and produce two fully functional prototypes while managing cost and creating an effective business plan. Quality of the projects is evaluated each year at international competitions through a set of evaluations performed by professional engineers and businessmen. Our chapter is open to all backgrounds and majors. We are always looking for new members who are willing to learn. As a member you can expect to be trained in all aspects of the engineering process. All of this training is performed by experienced members of CSULB SAE. As members progress through the organization and through their education, they work their way from a trainee position to a trainer position. This constant cycle is what ensures our members make the most of their time here at CSU Long Beach.